Gatineau April Qvc Tsv Featuring New Product Launch! Glowing, Healthy Looking Skin! The 5 piece Ultimate Perfection Collection is absolutely beautiful to look at , smells amazing and gives the skin a glow, vitality and a lift as we head through Spring and into Summer. As a bonus a bag is also included in the collection which is more than big enough to house all the products. Included in the collection are the items below. 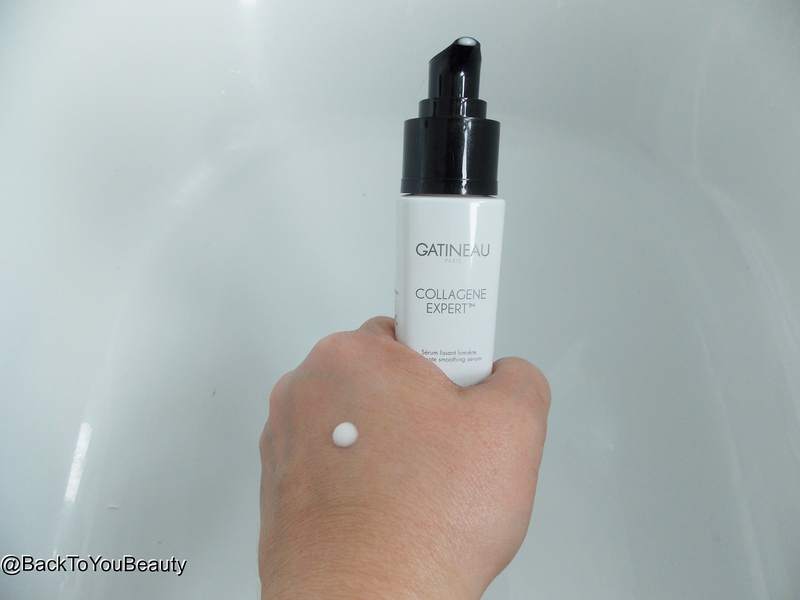 Collagen Expert Ultimate Smoothing Serum – As I have mentioned previously on many of my Gatineau posts HERE and HERE, Gatineau really do excel at serums. This is no exception, Firstly I absolutely adore the packaging, i love the cleanliness of white packaging I think it looks really expensive. 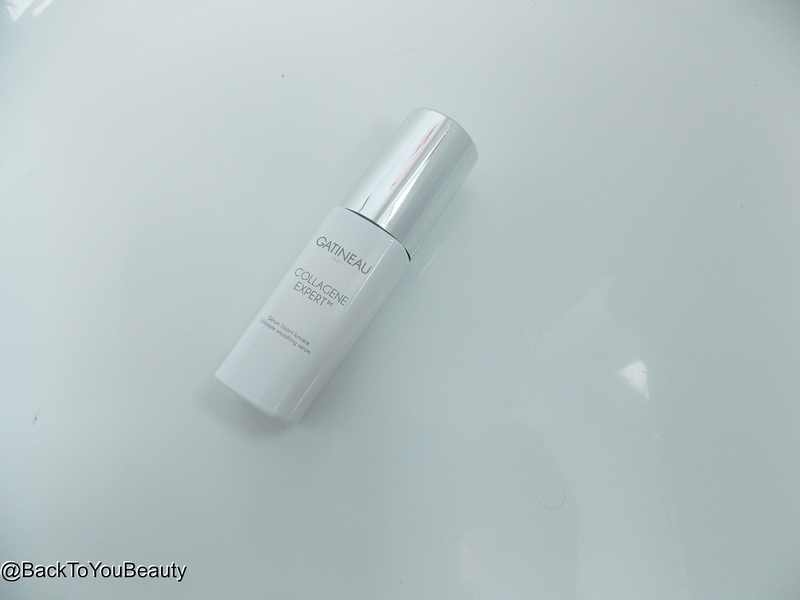 The serum itself feels absolutely amazing on the skin, two pumps of this lightweight serum, which feels like a lotion, after cleansing, is enough to cover the face and neck. Containing Melatogenine and Marine collagen to help reduce the appearance of fine lines and wrinkles, Tri-Collagen Complex for hydrating and plumping out wrinkles and wheat proteins to firm and tighten the skin, it is a wonderful recipe for those early signs of ageing. 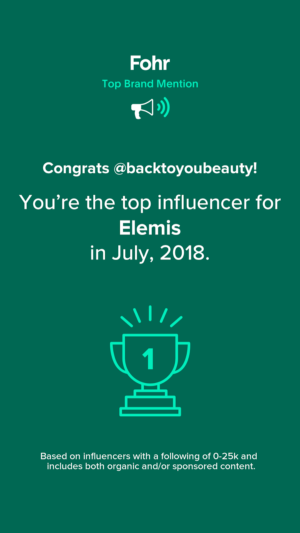 Now, I have not been using this long at all so I do not have any long term results but, immediately after applying, my skin feels so soft and smooth. 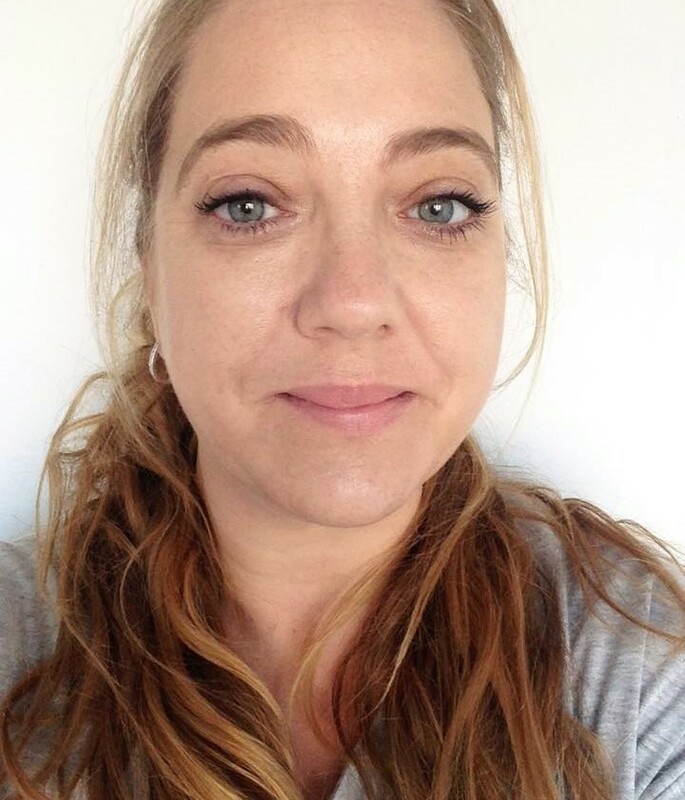 My skin looks healthy and has a glow and those fine lines around my mouth are already looking plumper, which I love! I cannot wait to continue with the rest of this product and see my results in about 8 weeks. 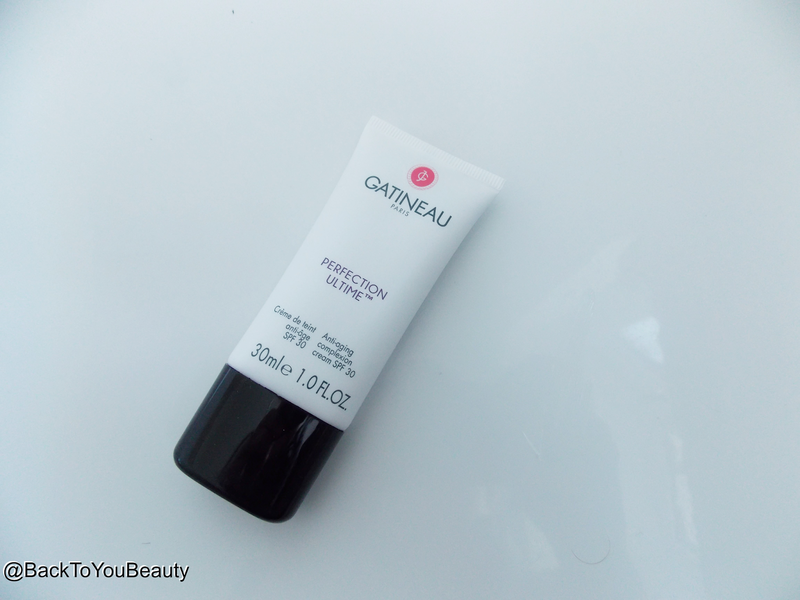 Perfection Ultimate Anti-Aging Complexion Cream SPF 30 – This brand new product from Gatineau is launching in this TSV collection exclusive to QVC. I did take a look on the Gatineau website to double check but they do not have it. I Have been sent the shade 02 Medium and it is perfect for me. This is your SPF 30 that not only has a gorgeous hint of colour, but also gives a really lovely coverage to the skin which surprised me. I applied this after my serum and as you can see below, my skin has a lovely, healthy even tone to it. It is a really easy, creamy texture to work with and warms between your fingers and face making it very quick and easy to apply. Gives a lovely soft sheen to the skin. I just wore this with mascara for a few days and then when I was going out and wanted fuller coverage, had great success applying a liquid foundation over the top. Didn’t feel thick or cakey on the skin at all and lasted really well. 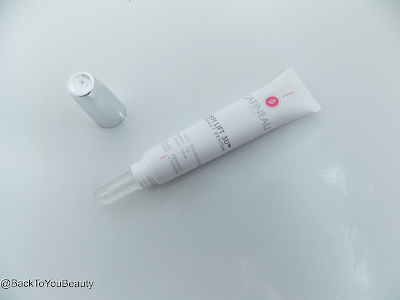 Firming Throat Gel – Many of you may know I am a huge fan of this neck cream which I have posted about HERE. It is so quick and easy to use thanks to its gel consistency it has a great slip factor. I apply a tiny amount every morning and evening to my neck and décolleté making sure I take it up to the jaw and down to the breast area. It feels very cooling and has a lovely fresh scent. It really doesn’t leave the skin tacky or sticky at all and absorbs quick and easy. Containing vitamins A, E and F to tone and protect the delicate skin area and wheat proteins to firm and tighten, it does have a lovely, gentle tightening effect but what I really enjoy is that silky feeling of my neck and décolleté afterwards. Leaves that area looking healthy and smooth. I have been using this for years and it is a product I was always recommend. Defi lift 3D Revolumising Lip Care – This product is designed to really care for the lip area and the fine lines and wrinkles that you may also have above and around the lips. If you are, or have been a smoker, or just someone that naturally has lines in that area, this lip product infused with Lavender extract and Shea Butter can really help to smooth, soften and hydrate that area. Although this is perfect on chapped, dry lips, please don’t just think of it as “an expensive lip balm” because it is a lip treatment that continues to work deep into the skin long after it has been applied. 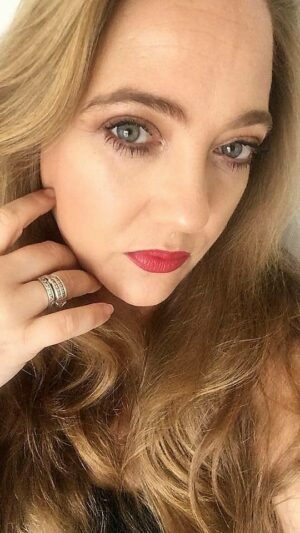 Leaves a lovely glossy sheen on the lips that makes them appear plumper and can be applied under or over lipstick as many times as needed. Very handy handbag/pocket friendly size too. VitaminA Hand Cream – This is a completely new product for me but just sums Gatineau up perfectly. 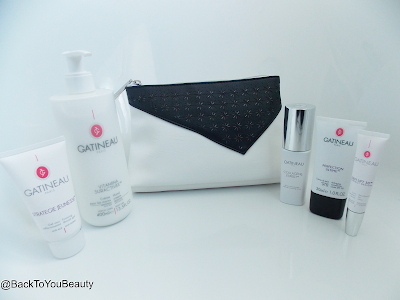 For those of us that are die hard Gatineau fans, we have been spoilt by a level of silky soft, smooth, healthy looking skin that all their products deliver. This massive 400ml pump bottle of hand cream is all that and more! I am so excited about this hand cream that I have already dispensed some into a small 30ml bottle for my handbag. Containing Vitamin E which helps product against free radicals and Collagen to promote suppleness this feels amazing. Half a pump is MORE than enough to do both hands and take up the wrists as well, it feels cooling, sinks in easily and leaves the most beautiful sheen on the skin!! I absolutely love it, plus it smell is just gorgeous, really fresh and uplifting. I love that this is in a huge pump dispenser because it now means I can leave it next to my sink and use it all the time, plus its easy to dispense into a smaller pot as I have for my handbag. Great as an overnight treatment by putting on a thicker layer, massaging really well into your cuticles and wearing some cotton gloves, I even applied some to my heels the other night as I had no foot cream and they felt smooth and soft. You really will notice smoother, softer hands after the first application. Bag – Finally this complete collection arrives in a lovely black and white leatherette cosmetics bag, which quite frankly I would be happy to use as a clutch in the summer. 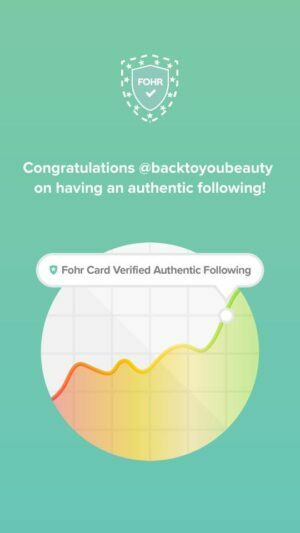 Don’t forget that the product also come with beauty passport points which if you are new to Gatineau, I have explained HERE. 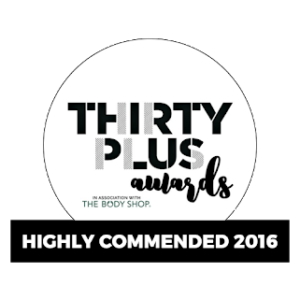 My Overall thoughts – This collections is really lovely for any age because it contains a great selection of non skin specific products. If you are looking for products to give the skin a healthier, smoother looking complexion, then this is a great kit to go for. This collection is only available on QVCUK as a Today’s Special Value for 24 hours ( or whilst stocks last) on Sunday 24th April. The individual items are worth £208 but for one day only you can purchase the collection for £54.96 and on 4 easy payments. Click HERE to purchase. For more information on Gatineau Click HERE.